The Cape Elizabeth Community Center exercise studio is a sunny air- conditioned wonder. 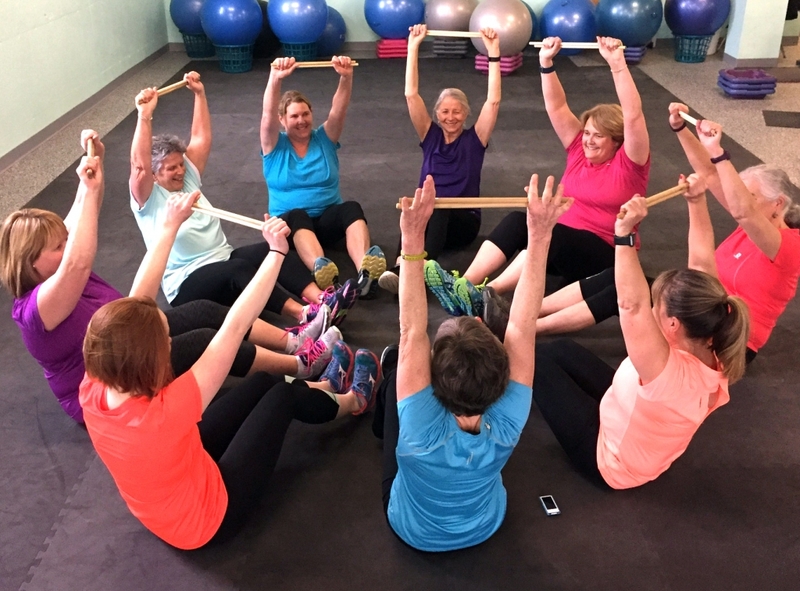 More Than Core classes meet twice weekly and incorporate balance, mobility, flexibility and strength training using foam rollers, balls, tubing and weights. The combination of pilates-inspired core work, myofascial release, good music and challenging upper body work makes this a popular, inexpensive work out option. The Richards Community pool at the Cape Elizabeth High School (not to mention the hot tub!) is home to Aqua Cardio Core, a water-based cardiovascular workout that requires no swimming skill. Floatation dumbbells, noodles and kick boards allow participants to “run”, “ski” and “cycle” in between core sets. A more demanding program–Suit Camp–is occasionally offered. Super Seniors Class classes are offered to people at various local assisted living facilities. Drumming for Brain Health classes use music and rhythm to build better brains. No drums required. We use chairs—much easier to come by!